Wouldn't it be wonderful if you could run your business without having to deal with boring administration? * Your paper work is always up to date. * Meetings are arranged for you. * All your time is devoted to achieving business goals. If only you had an experienced , Professional Assistant. 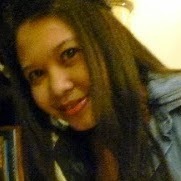 My name is Cindyrina and I'm a FREELANCE PROFESSIONAL ASSISTANT in Kuala Lumpur, MALAYSIA. I am a self-employed professional who understands the pressures and challenges of running your own business and administration support you need, when you need it. Below is a list of some tasks I can help you with. If something you need support for isn't on the list, just drop me an email at cindyrina@gmail.com or admin@cindyrina.com. * Word processing, presentation preparation, database management, fling, correspondence, looking after the diary : these are all tasks I can take off your hands. I can work from your office or from my own - whichever is the best for you. * From planning itineraries, sorting out travel arrangements, organizing meeting rooms to sourcing caterers, arranging cars and hotel accommodation, I will take care of it for you. I understand how important image is to your business. This means making sure standards are consistently high whether that's a venue, hotel or exhibition stand. I'll also attend events, meetings or exhibitions to make sure things run smoothly on the day. * The internet is fabulous resource but research still takes up valuable time. Whether you need business research, fact finding, sourcing that special gift or planning a surprise break - use my time not yours! * weekly and monthly retainer packages are available. Since NO TWO ASSIGNMENTS are the same, your specific requirements and budget are discussed before work begins. Please check cindyrina.com terms and conditions.